Some people find it easier to engage in certain healthy activities during different times of the year. For instance, they may enjoy the fresh produce of summer, or going for a run during the cooler days of fall. However, there are some things you can do to stay healthy regardless of the season. These are some good habits you can cultivate and develop for good health, rain or shine, cool weather or warm. 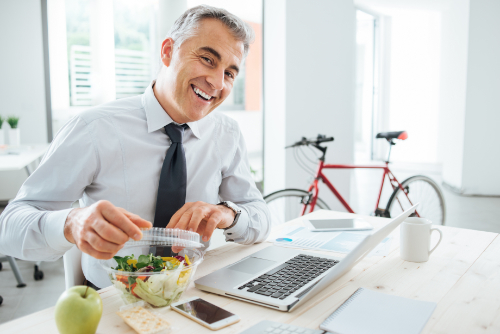 By incorporating these four practices into your daily routine you are very likely to see much less of your doctor and enjoy your life a whole lot more. Visiting a chiropractor on a regular basis will keep your body balanced and your spine aligned. Chiropractic care has several great benefits including decreased pain, faster healing from injuries, increased mobility, and better flexibility. What makes it even more preferable is that chiropractic takes a whole-body approach to health issues. This means that when you have a problem such as pain or a medical condition, your chiropractor will work to get to the root of it and treat the condition where it starts while traditional medicine typically focuses on symptoms. Chiropractic care is non-invasive and drug free, a truly natural approach to health care. A healthy diet is the cornerstone of good health. You should maintain a diet that includes lean meats, fresh fruits and vegetables, and whole grains. The key is choosing fresh, seasonal foods that are local to your area. Foods grown in their season have certain vitamins and minerals that the body needs for the time of year in which they are ripe and ready. It is also worth noting that several small studies have found that animal protein can exacerbate pain, specifically osteoarthritis. It does not mean you should stop eating meat altogether because certain types of meat offer significant health benefits. Salmon is a good example. It is loaded with heart healthy Omega 3 Fatty Acids – which, incidentally, also help to reduce inflammation in the body. If you want to be able to move, then you have to start moving. Exercise is extremely important for maintaining a healthy lifestyle. The problem is, many people believe that the only way they can exercise is by joining the gym or going for a run which has to be done in good weather. This simply isn’t so. There are plenty of things you can do indoors, even in small spaces or while on vacation, to get some exercise. If you have problems with mobility, walking is an excellent option but even gardening is great. Also, women over 40 should do weight bearing exercises several times a week to ward off osteoporosis. Furthermore, exercise is a great complement to chiropractic. It helps to keep your body flexible and increases your range of motion. Three to five times a week for 20 to 30 minutes is all you need. Good sleep is one of the most underrated keys to good health. When you sleep it gives your brain and body an opportunity to refresh and heal. The discs in your spine are rehydrated, your body relaxes, and you less susceptible to stress when you are well rested. On average, adults need anywhere from seven to nine hours of sleep a night in order to reap the full benefits. Take time to set up your bedroom for good sleep: a comfortable mattress, a good pillow (they can wear out so change them regularly), a cool, dark, quiet room, and a relaxing environment that may include white noise or lavender scent. Make your bedroom as comfortable and sleep inducing as possible. Good health practices don’t have to be complicated or difficult. Start with small steps and let those behaviors become habits. Good health habits will help you have a long, full life.